Chimchim71 - Northern NY GREAT product "After doing a engine out rebuild project on my dream bike, the last step was the forks. 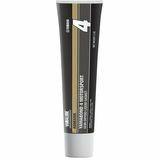 Since this is what Yamaha recommends for my specific bike's forks, this is what I used. I have to say that the use of this fork oil and all OEM parts have given me outstanding results. I have a 2003 Road Star Warrior that looks and rides like it just came off the showroom floor! 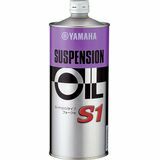 This is top tier suspension oil for your Yamaha motorcycle."